After their passionate weekend at the Cunningham estate, Lily and Calder have decided to take their relationship to the next level. But love in the real world isn't all fun and games--especially when it becomes clear that Calder still harbors his share of secrets. When Calder suddenly suggests they slow things down, Lily knows something is seriously wrong--and she's not afraid to pull out the big guns. 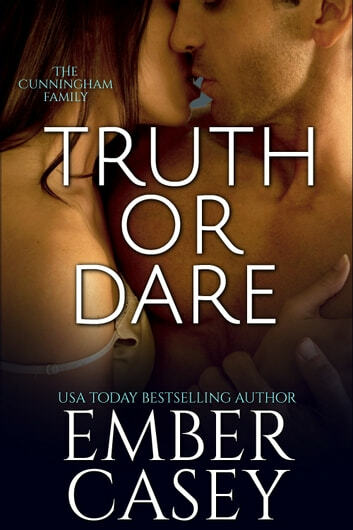 She makes Calder a proposal he can't refuse: an ongoing match of Truth or Dare that she hopes will bring them closer together. But as the contest increases in intensity, so do the stakes, and suddenly Lily and Calder have to face the question they've both been avoiding: what sort of relationship do they have when they strip away all the games? I loved this book from beginning to end, I was a bit worried that Lily was gonna let the love of her life get away, but when he returned, I was overjoyed!!!! 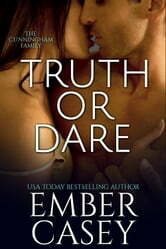 They are meant to be together and their love story is phenomenal- an AWESOME read!!!! This book is so far my favourite compared to the first book. I love reading and I definitely recommend it to anyone who loves romance, sexual tension and heart break. Such an amazing journey. Im on to the next!! Excellent book. I cannot wait to read the last book in this series. Great characters. Fun story line. Loved seeing how it ended! Fun games involved and fun to read. Now I must read the others!